Georgian Style Staircase with Parking Space! A 2 flight Georgian style staircase for a Georgian Mews property in London. The lower flight passes through a garage, leaving an alcove for a car bonnet. Our clients, Base Interiors, wanted the design to link to the period of the property. We proposed kiln dried oak treads and risers on a sweeping painted stringer. A simple tapered oak newel post marks the entrance to the staircase. The handrail is of a classic, Georgian style profile in oak to match the treads. 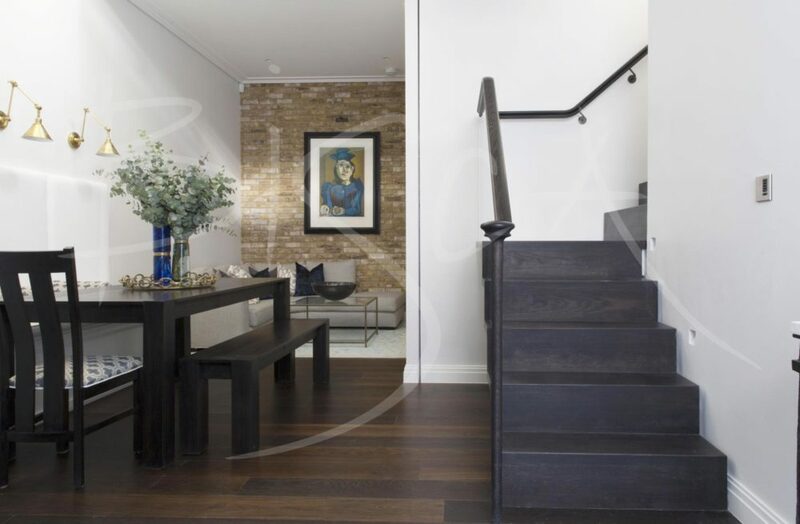 Both staircase and landing have low iron glass balustrading, which visually open the area. The synergy between an architect or interior designer and a staircase specialist is of greater value than either one working alone. If you don’t use a staircase specialist, then your architect or interior designer may give your drawings to a fabricator or builder. They may or may not be able to resolve design issues as your build evolves. Bisca’s process, working with property professionals ensures any site discrepancies get resolved before installation. 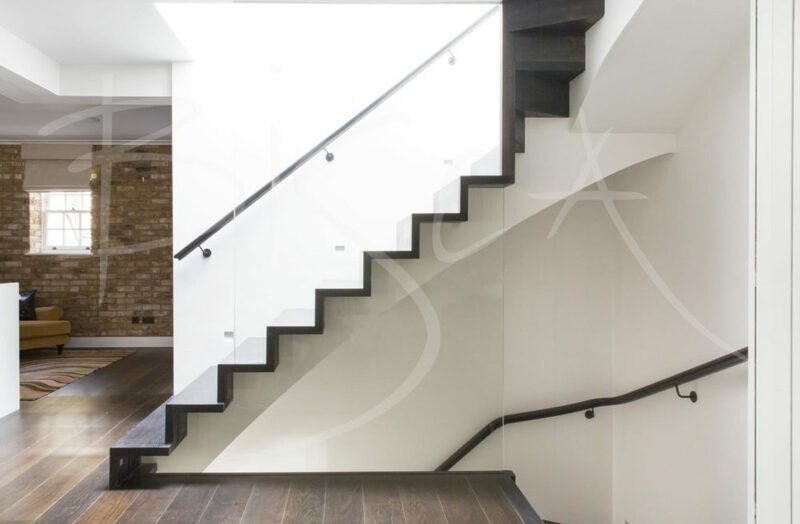 Contact us to hear how we work with architects and interior designers; alternatively, ask about a Georgian style staircase design for your own property. Images copyright of, and kindly supplied by, Base Interiors.